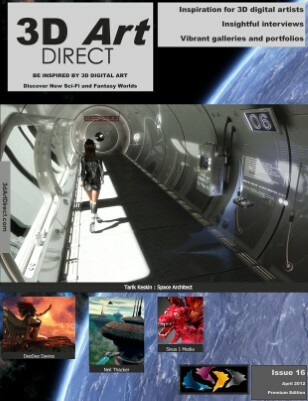 Earlier this year the 3D Art Direct website was closed, the decision to do this wasn’t easy to make, and at the time a number of factors had to have me stop work on the magazine and website. The WordPress site also became hacked and infected, so I certainly didn’t want any of our readers to get bitten by this problem. Now though I’ve decided to bring back the magazine and add a good amount of security to the website, including a service that now scans for malware every few hours. As you’ve noticed, I’ve changed the format of the site – so I’m really hoping that you’ll find it easier to read, browse and navigate. I’d love to get your feedback on the new appearance. As you can see at the moment, I’m still fixing previous posts and restoring some of the associated post images. If you have a website I would very much recommend the services at sucuri.net who will clean malware from your site and then continuously scan for more infections at a very competitive annual fee. They are a very responsive service and some of their last work was done for me over the recent Easter holidays, when I certainly wasn’t expecting them to reply. In short, I’m just so passionate about 3D digital art, it was very hard to stay away from the subject! I’ve also loved interacting and helping out some of the many wonderful sci-fi and fantasy artists that I have gotten to know over the last few years. A special shout out to Jack Tomalin (Redhouse Graphics), Rob Caswell and Woflgang Sigl who showed support during the shutdown. I’m pleased to announce the premium magazine is now completely free, and you can sign up to get the latest on-line edition delivered to your inbox every month. Past issues will then be shared in the magazine section. Did concept art launch the American Space Program?